It doesn’t matter if it’s spring, summer, winter, or fall – Bill Nye is always in season. Every year, we experience the seasons. Some months have snow and rain, while other months have warmth and sunshine. Temperatures go from cold, to woarm, to cold again – winter, spring, summer, and fall. The cycle of the seasons takes one year, and the Earth takes one year to go around the sun. Coincidence? No way. The Earth’s orbit around the Sun is flat, as though our planet were spinning over a tabletop. Compared with flat plane of its orbit, the Earth is tilted. Its axis, the imaginary line between the North and South Poles, is tipped over a bit. In June, the north half of the Earth (the Northern Hemisphere) is tilted toward the Sun, and it’s summertime in places like Nye Labs in the United States. Meanwhile, the south half (the Southern Hemisphere) is tilted away from the Sun, and it’s winter there, in places like Australia and South Africa. The Earth’s orbit isn’t quite a perfect circle. It’s like a circle that’s been squeezed a little. It changes the Earth’s distance from the Sun. We’re closest to the Sun in December, when it’s summer in the Southern Hemisphere. The tilt affects the seasons more than the slightly oblong orbit. 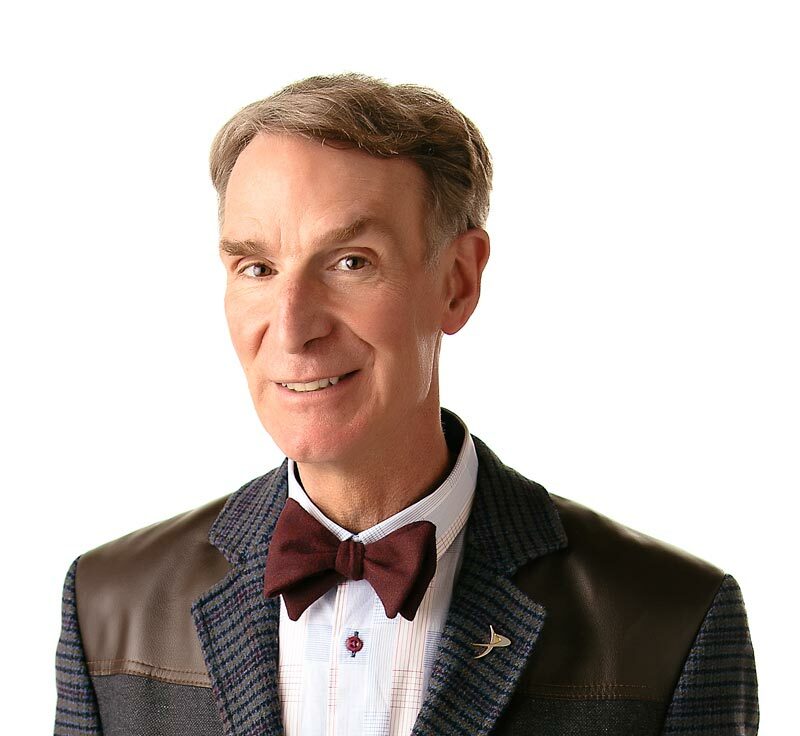 Neither rain, nor sleet, nor wind, nor snow can stop Bill Nye or the Earth’s Seasons. The Earth takes one year to go around the Sun. The Earth takes one day to rotate around itself (around its own axis). The highest temperature ever recorded was 58 degrees Celsius (136 degrees Fahrenheit) in Al Aziziyah, Libya, on September 13, 1922? The South Pole has no sunshine for 182 days every year? The coldest temperature ever recorded was -89.6 degrees Celsius (-128.6 degrees Fahrenheit) at Vostok Station, Antarctica? “Seasons” by Melvin Berger. Published by Doubleday, 1990.